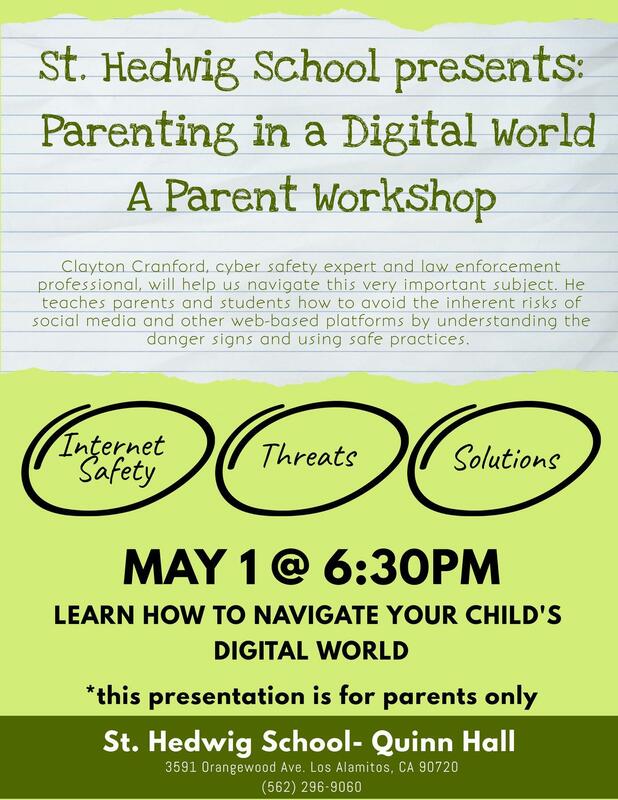 SHS presents "Parenting in a Digital World" at 6:30 p.m. Wednesday, May 1. At this free event, cyber safety expert Clayton Cranford will talk about apps, risks, expectations, consequences, how to monitor known and secret accounts and more. No RSVP required. All are welcome — child care will be available for SHS parents only. Please see the flyer for more info.